Local knowledge of this world famous surf spot was evident in the early results as Buffalo City Surfrider’s surfers dominated the premier Open Men’s Division. Five time SA Champion and 2017 Open Men’s runner up, Greg Emslie, was one five Buffalo City surfers to win their first round heats. Joining him with a first round Open Men’s win was his 14 year old nephew, Daniel Emslie who is the youngest surfer in the event. Brothers Tristan and Tyrell Johnson and Luke Malherbe were the other three East London surfers to win their heats. Michael Monk, a born and bred Nahoon Reef charger, and Ilembe teammate Richie Kidd also won their first round heats as did eThekweni stalwarts Chad du Toit and Chris Frolich. The other two first round winners were Stefano Jantjies of Nelson Mandela Bay and Simo Mkhize of Ugu Surfriders. Surfers in the first round of the Over 40 Division also took on Nahoon Reef in their first round heats and defending champion Greg Emslie and Tristan Johnson both added to their early success in the Open division with a win each in the Over 40 group. Cape Town Surfriders representatives Ryan Kuhn and Graeme Field, Dave Pietersen of Ilembe and Warwick Heny of Nelson Mandela Bay were the other winners in the first round of the Under 40 division. 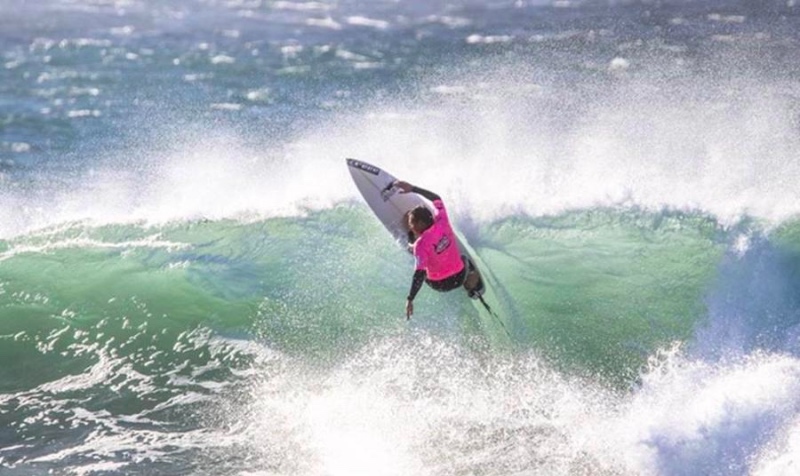 Surfers in the Over 35, Over 45, Over 50 and Over 55 Divisions will be in action tomorrow and on Thursday the 2018 Mercedes – Benz SA Surfing Championships and Buffalo City will host all the female competitors in the event as the Championships celebrates National Women’s Day. The 53rd edition ofSouth African Surfing’s premier National Championships was declared open by Surfing South Africa Vice President Bongani Xulu at an enthusiastic opening function at the East London Surf Lifesaving Club at Nahoon Beach. The function was addressed by Portfolio Head for Special Programmes Xolani Witbooi, Mercedes Benz representative Neville Wilkins and Surfing South Africa Board Member and Event Contest Director Ann Wright. The South African Championships will be streamed live on Saturday 11 August and Sunday 12 August from Nahoon Reef. The event ends with semi- finals and all nine finals on Sunday 12 August. Surfing South Africa is the recognised governing body for the sport of surfing in South Africa and is a member of the South African Sports Confederation and Olympic Committee (SASCOC), the African Surfing Confederation (ASC) and the International Surfing Association (ISA).